If being an Egg Donor isn’t right for you, why not consider being a Gestational Surrogate rather? Surrogacy is the incredibly selfless act of carrying a baby for someone who is medically unable to do so themselves. With Gestational surrogacy (most commonly practiced nowadays), the surrogate has no genetic ties and is not related in any way to the embryo she is carrying. Embryos may come from the intended mother and father or from an egg donor. There are many medical reasons why people may need a surrogate. A surrogate is used most often when the intended mother is capable of producing healthy eggs but can’t get pregnant herself. This is often because the intended mother has no uterus e.g. the woman has had a hysterectomy or has an abnormal uterus which prevents her from carrying a baby of her own. There are also many gay couples who long to be parents and have a family of their own. For obvious reasons, they are unable to become pregnant and therefore rely on the generosity of a surrogate mother to do it for them. What makes a surrogate pregnancy so extraordinarily special is that a surrogate mother carries the baby for another person who, without them would not be able to fulfill their dream of having a baby. If it were not for women who are willing to perform this ultimate act of human kindness, there would be so many men and women out there who would be forced to face a future of broken hearts and empty arms. Surrogacy is a complex and expensive option (for the commissioning couple), and is really only suitable for women without a uterus, women whose uterus is damaged or for gay male couples. Once the High Court has approved the medical certificate from your doctor saying that you are medically unable to carry a baby, a legal contract is made between the intended parents , their chosen Surrogate Agency (www.surrogacy.co.za) and the surrogate mother. It may also include the participation of an egg donor (www.nurture.co.za) whose eggs will be retrieved and fertilized with the partner’s sperm and then implanted into the surrogate mother’s uterus. This legal agreement will have to be confirmed and authorised by the high court before any treatment can commence. InVitro Fertilization (IVF) is then used to form the embryo which is implanted into the surrogate mother’s uterus for the purpose of growing the miracle baby and hopefully carrying a healthy pregnancy to full term. What’s in it for the Surrogate Mother ? Without an ounce of doubt, front row, VIP seats in heaven! No amount can ever equate to what a gift the surrogate mother has given. In terms of South Africa’s “New Children’s Act”, surrogacy can only be done for altruistic reasons and not for commercial gain. This means that you may claim for any expenses that are directly related to the surrogacy/pregnancy and you may claim within reason for loss of income. The commissioning parents will cover the cost of a medical aid for the duration of your pregnancy/birth, including a few months post-partum. A life insurance policy will also be provided by the commissioning couple for the duration of the surrogacy. 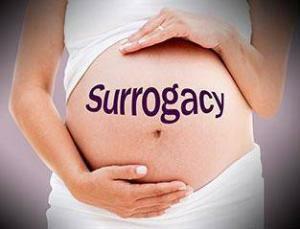 All other expenses related to the Surrogacy will be covered by the Commissioning Parents. They will also cover all the legal fees, as well as any counselling that the Surrogate mother may require. She will get full medical attention and any medical care needed to make sure that the implanted embryo reaches full term. A surrogate mother understands that she has no right to the child once born as she has agreed in a written contract that her primary role is merely to carry the baby to full term. Gestational Surrogacies are widely popular today however as you can appreciate there are only a handful of women who are medically, emotionally and psychologically able to carry a baby for someone else. The reality is that there is a shortage of suitable surrogates in South Africa. This means that there is a waiting list of people who need a surrogate and finding the right surrogate mother is way more complicated than many anticipate. You must be between 21 and 42 years old. The older a woman gets, the higher her chances are of a high risk pregnancy. You must have had at least one pregnancy, a viable birth and have a living child of her own. This will give her important experience and knowledge of the difficulties that come with pregnancy and . You must be willing to take a psychological screening. A thorough psychological test will determine if the candidate is appropriate to be a surrogate mother. This will reveal any issues the surrogate mother may have regarding her motivations, expectations and behaviour towards the agreement. We would love to tell you more about how you can make a huge difference as a gestational carrier.